Circa 1910. 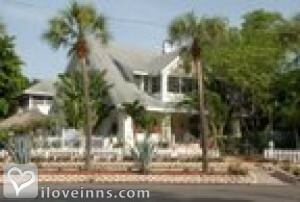 Gracing the downtown waterfront district of St. Petersburg, Florida, Beach Drive Inn Bed & Breakfast is just across from Tampa Bay. Built in 1910 in the Key West style, this historic home was nationally designated The Vinoy House. Surrounded by palm trees and other lush plants, the setting is truly tropical. Stay in one of the delightful guest bedrooms or a spacious suite with a whirlpool, entertainment center and attached private sunroom with kitchenette. A made-to-order breakfast is served daily. Walk to Bayside Beach and the many popular local attractions and cultural sites. Payment Types Accepted Include Discover, Master Card, American Express, Personal Checks, Travelers Checks and Visa. 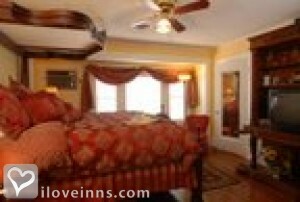 This property has 6 total guest accommodations with private bath, 2 with whirlpools, 2 suites. The types of beds available include Queen and King. 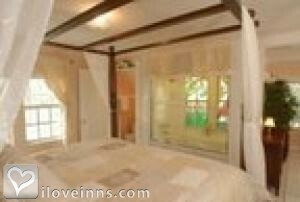 Located across the street from The Vinoy, parks and waterfront. The B&B is only 6 rooms with wine served in the afternoon evening. 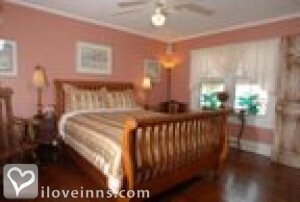 The Key west is very much a honeymoon suite with a spa tub in front of the bed.Other rooms are more secluded such as The Vinoy Room and Montego Room. Grounds are surrounded by Palm Trees and tropical plants. Tiki Tables and a large verandah with rocking chairs and seating. 2 to 3 day minimum for special events and weekends during high season may be required from January through April for 2 night minimum on the weekends.. Reservation and Cancellation Policies We require a credit card to secure a reservation. Due to the small number of rooms we have, cancellations and shortened stays can affect us greatly. Any cancelled reservations will be a $25.00 fee. Reservations cancelled within 7 days or less, prior to arrival, will be responsible for the 1 night and any additional night(s) if we are unable to re-book the room. Dates changed within 7 days before arrival will be billed for the first night and applied to updated booking and is non refundable. No Call/No Shows will be billed the total amount of the stay. No refunds for early departures. Group Bookings of 3 or more rooms and Five day and longer bookings will be charged 25% of total charges initially as a deposit, subject to re-booking. We suggest obtaining trip insurance in the event of an emergency. The dates this property will honor the certificate are June-September, last minute subject to availability. We are a young couple with young kids who live in Sarasota, FL and we really enjoyed our one night getaway to this Inn. 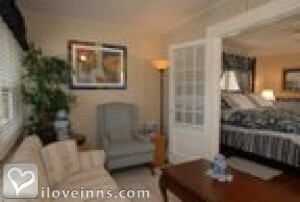 The room was charming, we enjoyed the bikes and close proximity to downtown restaurants and the bay park. The host and hostess were very friendly and helpful and served an excellent Eggs Benedict for breakfast. It was a wonderful place to get away not too far from home. 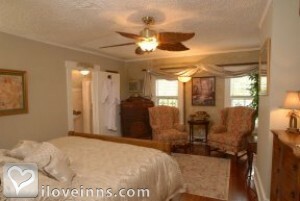 The B&B was in a great location with an accommodating young couple. We were here 4 nights and had something different for Breakfast every morning. They also had some nice touches as complementary bicycles, wifi, and a portable laptop to check our airline reservations. What an awesome experience. The beds are as comfortable as they get. The atmosphere couldn't be any more soothing and relaxing. The breakfast is delicious. I've been to many bed and breakfasts around the country and this is one of the best. Owners are super friendly and extremelly accomodating. The new Dali museum is a must. I'm not too into art, but this place is out of this world. A must see when in St. Pete. 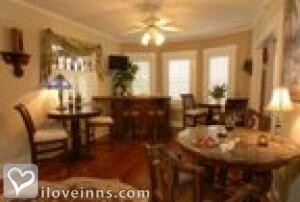 I booked the Key West Suite as a wedding present for my son an his new bride. I called twice, including the day before the wedding, and was assured that a late arrival was fine. The hosts were out of town and left the inn in the care of a woman who said she was the chef and mother of the owner. My son said she appeared intoxicated and proceeded to query them in front of the other guests about their wedding vows for more than an hour. Once she finally allowed them inside she informed them there had been a "mix up" and they would not get the suite that was reserved. They would move them there the second night. After some other erratic behavior she showed them to the room that was last on our selection list. The next morning, the couple was awakened at 7 a.m. and told to move their automobile because it was blocking the van used to get breakfast supplies. They had asked about parking the night before and told they were fine. The newlywed couple was hesitant to eat at the end out of concern they would run into their inquisitioner from the night before. They checked out at lunchtime. This same woman tried to deter my e-mails and was reluctant to let me speak with the owners. However, they were no help and were confrontational and unapologetic. We are sorry that they did not have a pleasant stay. However, the guests checked in after 2 AM the next morning, well beyond the late check in of 11:30 PM that was communicated to the Inn as the time that they would arrive by the reviewer. While we appreciate reviews, the individual posting did not stay with us. Normal check in is between 3 PM and 6 PM. Also, the reviewer was not charged for their stay and we understand they were talking to other guests at the Inn that had been sitting outside that came back for the evening. While we do accept late check-ins that are reasonable anything this late is not and does not guarantee your room since it is considered a no-show. As a Bed and Breakfast we cannot wait into the late hours to receive guests without proper notice to either greet them when they are here or make other arrangements for access. Even my son said it was a beautiful inn. However, he said to make sure that the owners would be present during your stay. No one should have to experience the treatment they received. 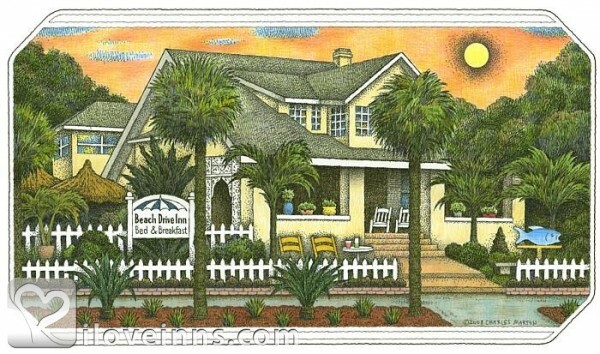 For the past three nights my wife and I stayed at the Beach Drive Bed and Breakfast. I would like to say the stay was pleasant and the room was remarkable. The service and cleanliness was what we expected and rates high in our books. 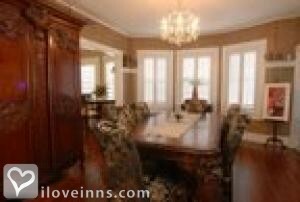 I would like to thank the innkeepers for your kindness and comfort welcome. Best Regards Thomas G.
Our Bed and Breakfast turns 100 years old this year and was designated a historical landmark by The Colonial Dames., Psychic Kids: Children of the Paranormal Season 3, Episode 2 "The Lost Girl"
3 In a Bed USA on Channel 4 in the UK.